Christophe Agou (Montbrison, 14 ottobre 1969 – 16 settembre 2015) è stato un fotografo francese. Dall’inizio degli anni Novanta, Christophe Agou si dedica alla fotografia documentaristica con grande sensibilità e senso poetico. Passa con disinvoltura dal bianco e nero al colore, dal paesaggio al ritratto, dal reportage al documento, senza privilegiare alcuno stile ma cercando continuamente di rinnovare le forme e le condizioni della propria visione. Sempre seguendo il proprio intuito, Christophe ha esteso la sua espressività anche ad altri media, creando assemblage e film. Christophe Agou nasce nel 1969 a Montbrison, in Francia. Autodidatta, scopre la fotografia nel corso dei suoi viaggi in Europa e negli Stati Uniti. Nel 1992 si stabilisce a New York e nel 1998 incomincia a ritrarre in una serie di foto i passeggeri della metropolitana della Grande Mela. Il risultato di questo lavoro diventa oggetto di un libro, Life Below (Quantuck Lane Press / W.W. Norton & Company 2004). Nell’inverno del 2002, Christophe Agou torna in Francia, nella regione del Forez in cui è nato; percorrendo questi aspri territori si accorge di non averli mai dimenticati. Qui conosce varie famiglie di agricoltori e a poco a poco, visitandole regolarmente, ne diventa intimo amico. Comincia la serie Face au Silence (Di Fronte al Silenzio). Nel 2006 è finalista del prestigioso premio W. Eugene Smith, nel 2008 del Prix de la Photographie dell’Académie des Beaux-Arts di Parigi e nel 2009 riceve la menzione speciale al Prix Kodak de la Critique Photographique. 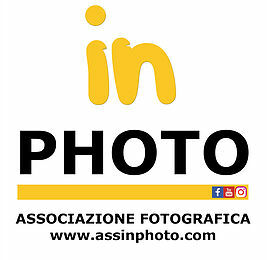 Nel 2010, Christophe è vincitore della diciassettesima edizione del European Publishers Award for Photography. I suoi scatti sono stati pubblicati ed esposti in tutto il mondo: al MoMA di New York, al Museum of Fine Arts di Houston, al Jeu de Paume di Parigi, alla Fondazione Pilar y Juan Miró di Palma di Maiorca, al festival francese Rencontres d’Arles, al Smithsonian American Art Museum di Washington DC, al Noorderlicht Fotofestival nei Paesi e in alcuni festival di fotografia in Cina. Christophe Agou (1969 – September 2015) was a French documentary photographer and street photographer who lived in New York City. His work has been published in books and is held in public collections. He was a member of the In-Public street photography collective. Agou was born in Montbrison, France in 1969. A self-taught photographer, Agou grew up in a small town in the Forez region, on the eastern side of the Massif Central. From the early 1990s, Agou made documentary-style photographs in both black and white and color which take an allusive approach to the human condition. He also made short films and sculpture. In 1992, he moved to New York City.He began taking photographs in the streets that evoked a sense of longing and isolation. He made photographs at Ground Zero on September 11th, 2001, which were used in numerous publications. He first came to prominence with photographs taken in the New York City Subway, published in his book Life Below (2004). In 2002 Agou returned to Forez. He traveled to the lesser-known parts of the region and got to know a community of family farmers whose identities are deeply rooted to the land. He photographed and filmed them at work and at home for eight years. This resulted in Face au Silence / In the Face of Silence, a documentary about rural life in early twenty-first century France. The work won him the 2010 European Publishers Award for Photography,and publication in six editions and in six languages. He became a member of the In-Public street photography collective in 2005. Agou died in September 2015 of cancer.